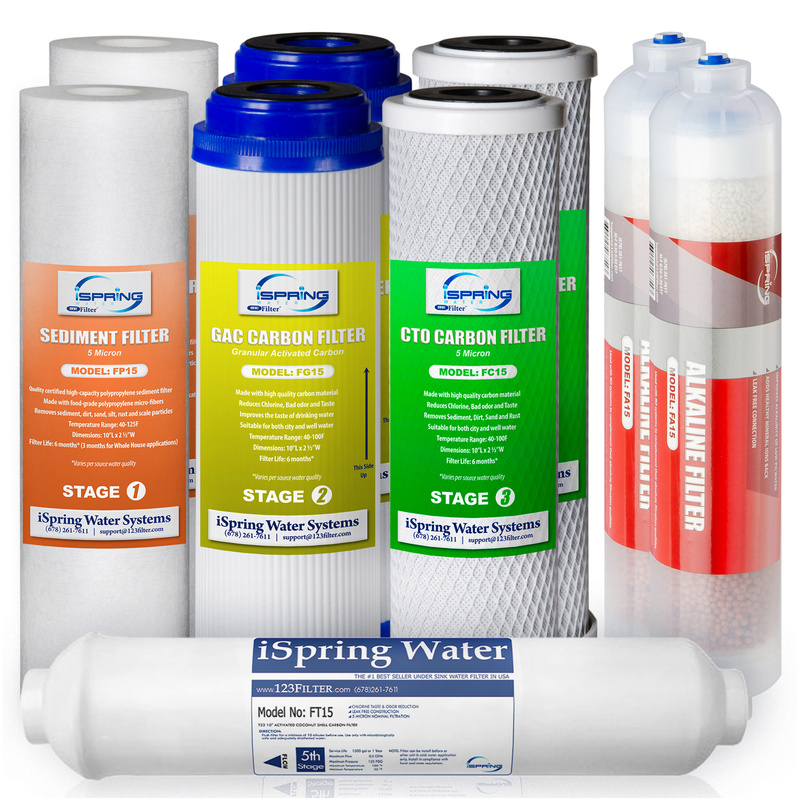 1 year, 9 piece replacement water filter pack for 6-Stage Alkaline RO systems. 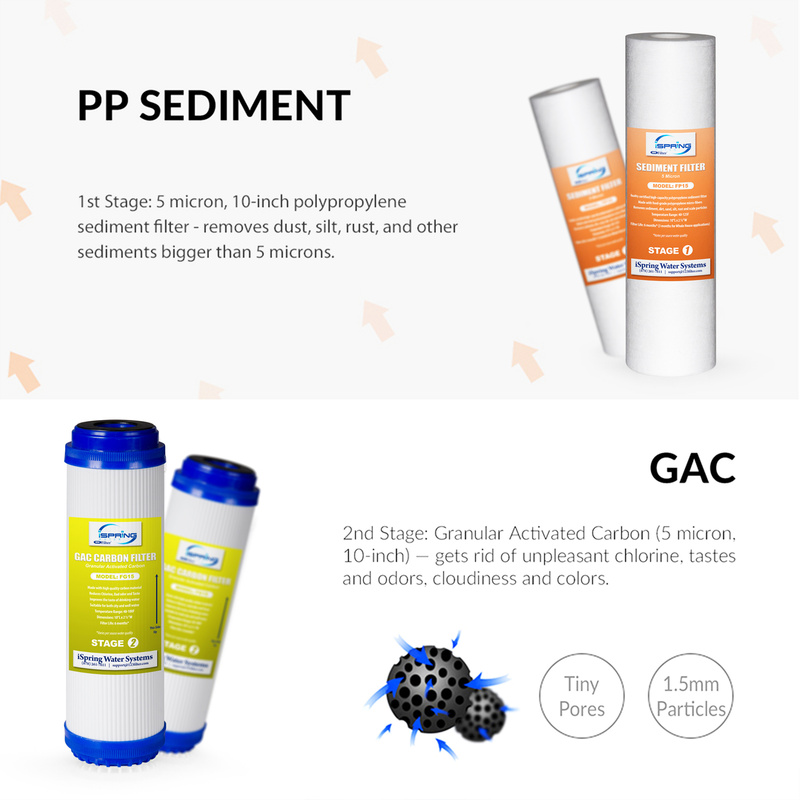 2x 5 Micron Sediment Filters (1st Stage): Removes dirt, rust, sand, and other particles. Tested by independent third-party to meet NSF/ANSI Standard. 2x 5 Micron Granular Activated Carbon (GAC) Filters (2nd Stage): Absorbs chlorine, halite, organic contaminants, odors, and other impurities that contribute to bad tastes and odors. 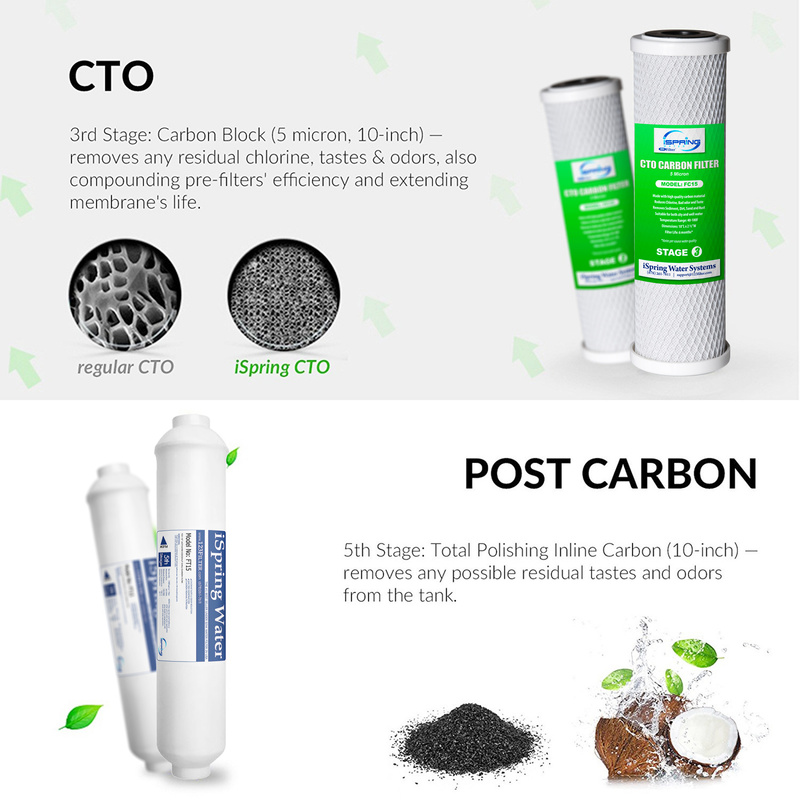 2x 5 Micron CTO Carbon Block Filters (3rd Stage): Further removes any remaining chlorine, tastes, and odors. 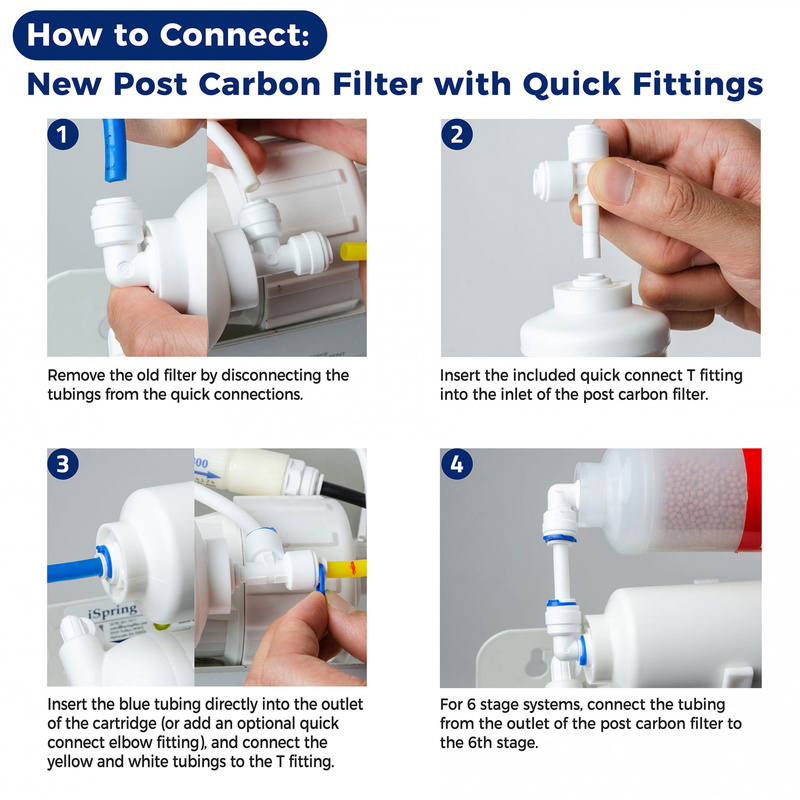 1x Post Carbon Inline Filter (5th Stage): Polishes the water from the tank before it is delivered to your faucet. 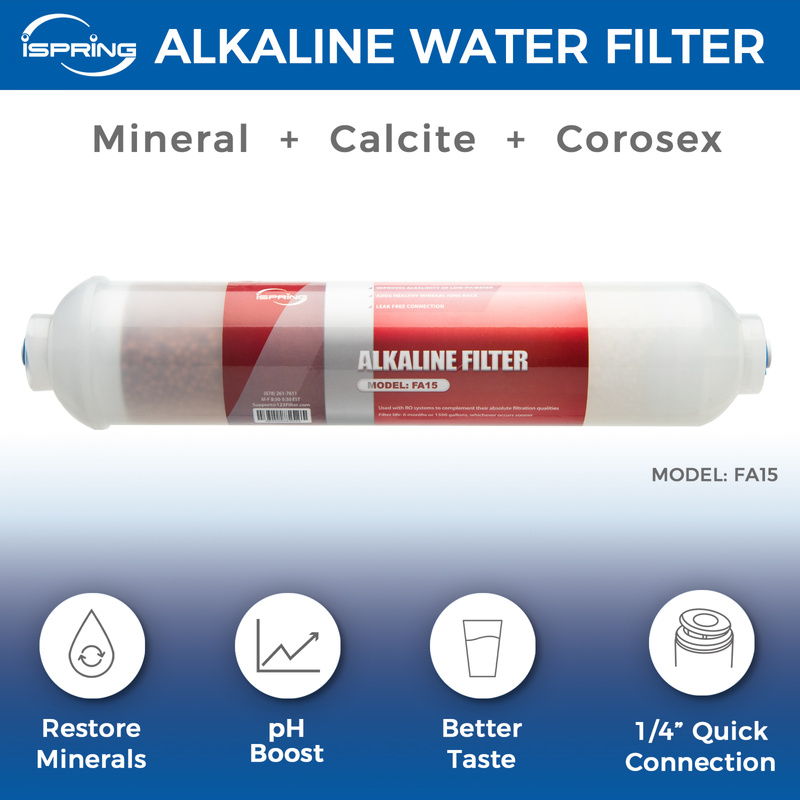 2x Alkaline pH Filters (6th Stage): Adds 0.5 - 0.8 PH back to the water, also adds back healthy minerals such as ionized calcium, magnesium, sodium, and potassium, which were removed during the RO process.